"For us, it's all about the client. . . . The client comes first." 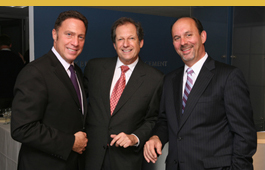 As an independent wealth management firm, we focus solely on serving our clients’ needs and acting in their best interest at all times. At KBK, we have no obligations to financial products or house brands, which leaves us open to offer the best advice and services for you, the client. Our team of professionals is comprised of seasoned experts, each of whom has earned advanced professional and industry accreditation and credentials. We adhere to the highest ethical principles and are committed completely to our clients. A true wealth manager does more than manage your investment portfolio. At KBK Wealth Management, we examine every part of your financial life, including life goals, retirement planning, estate planning, business succession, taxes, and college planning, to help secure your financial future. We recognize the value of our client relationships. The advisors at KBK Wealth Management go above and beyond to understand your life goals and challenges. By truly understanding you and your unique situation—your lifestyle, your philosophy, your risk tolerance, and your vision for you and your family—we are enabled to build a strategy that's customized to your individual goals. Many firms claim to be “full service” but are limited in their capacity to offer a true holistic approach to wealth management. For more than a collective century, we have guided our clients with steady, principled advice throughout the ever-changing economic, business, and regulatory climates. We have always understood the volatility of the marketplace and have charted our clients' financial courses accordingly. Our clients understand that we are here for the long term and recognize our dedication to their financial success. Find out about our client referral program.